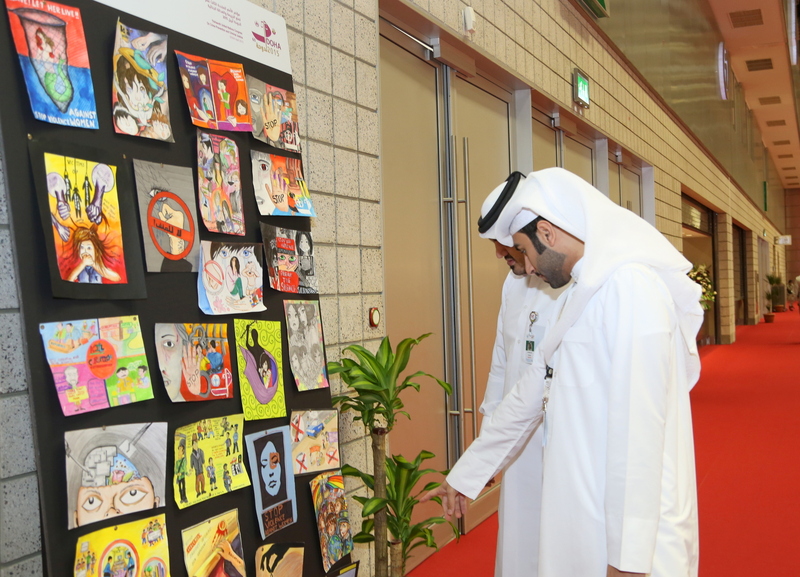 Young artists from grades 4 to 12 of various schools in Qatar visualized their thoughts about violence against women and children in hundreds of entries submitted to theDoha Youth Forum Art Contest. 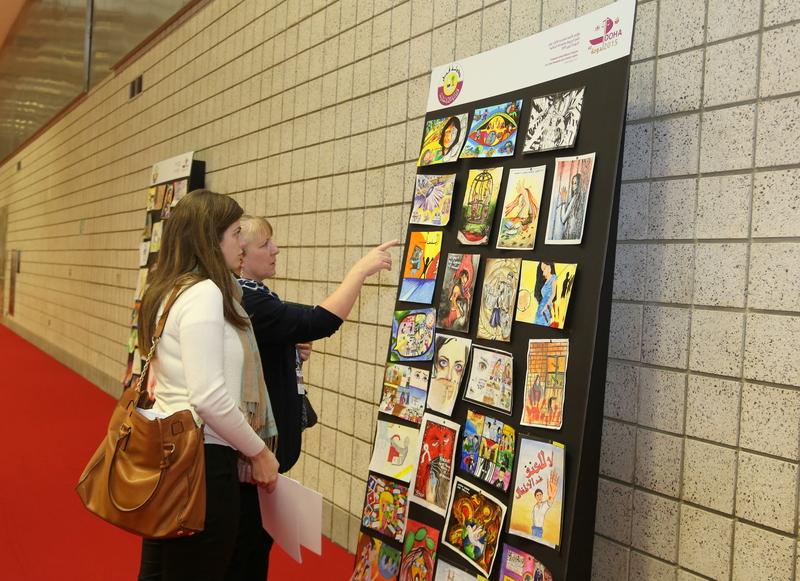 "The images were very intense," said Mr Abdullah Khalifa Al Muftah, Head of the Media Committee of the 13th UN Congress on Crime Prevention and Criminal Justice who organized the art contest. "Coming from young students, they were very honest manifestations of what our children feel about mature subjects and should be of concern to us adults." Apart from violence against women and children, students in Grades 4 to 7 were asked to visualize cybercrime, corruption and organized crime. Those from Grades 8 to 12 were given a chance to work on how students and the community can work with the authorities against crime, including corruption and bribery. These themes were the main topics of the Doha Youth Forum on Crime Prevention and Criminal Justice and the UN Crime Congress. Of the total entries submitted by students of various backgrounds and nationalities, 10 winners and three Arabic Special Prize awards were selected from Grades 4 to 7. Thirteen were selected from Grades 8 to 12. Their names and final rankings will be announced shortly. A panel of judges selected by the Committee scored the entries. To engage the public in selecting the winners, likes and comments generated from the public through social media accounted for 25% of the total score. Comments from Facebook users praised the layouts saying that they "truly represent what our future holds if our youth unite to fight crime in any form. Truly the youth is the future of our humanity". Others marvelled at how young minds can "put up such a good representation of the roles of youth to our society". Many agreed that the works "show a campaign that students and law enforcers must get involved with and participate in uplifting the oppressed in the society".